IT is being proclaimed as the next super food.Some people have said it looks like pet food, while others have baulked at the taste. But the majority of Australians haven't a clue what it is, despite the fact it will reduce the incidence of type two diabetes and tackle the nation's obesity problem. The latter two facts should have tipped you off that we're talking about lupin-based foods. And South Africa-born Tom Cronje and his wife Tia, specifically, are talking about gluten-free Super Lupins, a nutritious breakfast cereal that also will double as a snack food anytime you feel like the munchies or an ingredient in cakes and fruit pies. The pair have been manufacturing the lupin-based cereal for nine months and despite the lack of publicity, have built a fledgling business which they hope will find a foothold in the highly competitive health foods market. Using a unique recipe which contains 30 per cent lupin flour, the Cronjes have produced a highly nutritious and tasty cereal which is gaining market traction, mainly through their website, www.lupinpower.com.au. The next marketing phase will involve selling to all major food chains - currently Super Lupins are stocked at more than 40 selected stores throughout WA including Geraldton, Moora, Busselton, Dunsborough, Rockingham, Mandurah and throughout the metropolitan area, including Midland. Appropriately Mingenew - arguably the home of lupins and Irwin Valley Flour - is also a sales centre. The Cronjes use Irwin Valley flour to manufacture Super Lupins. "It has been a long road but product acceptance has been excellent and customer feedback is proving the health benefits of Super Lupins," Mr Cronje said. "The main feedback we get relates to improved blood pressure and appetite reduction." According to Mr Cronje, the biggest hurdle in producing Super Lupins was taste. "We experimented for literally years trying to get the balance right," he said. "It was surprising just how diversified taste was between the people who we asked to try it out. "We finally had to make a decision on taste and went for it to launch the product last year. "And from customer reaction we think we've got it right, although some people has told us it looks like pet food." That perception is readily apparent in the appearance of the 1.5kg bulk bag, prepared especially for farming families, because of lack of colourants. "Rather than buying a small packet, we're offering a bulk pack size which can last a little longer," Mr Cronje said. Four Super Lupin 150 gram packets are marketed with a blueberry flavour, blueberry with fruit and nuts, a tropical flavour and plain cereal. Mr Cronje and his wife migrated to WA seven years ago with Mr Cronje foregoing a career as Professor at the University of South Africa teaching risk management, finance and banking. He also left behind a flourishing business manufacturing specialty muesli. "Basically we came to WA because we had a friend in Margaret River who suggested we could continue on with the muesli business and become involved with a small farm," he said. The friend, Herman Dykstra, was a former student of Tom's from his university days. "We joined a muesli business with him in 2005 calling it Gaby's Muesli and we sold it throughout the South West and in Supa IGA and Coles stores," Mr Cronje said. But an opportunity to return to academic life as a lecturer at Curtin University, saw him sell his share of the business to Herman. Mr Cronje's entrepreneurial skills remained high on his agenda and a chance meeting with Department of Agriculture and Food researcher Professor Vijay Jayasena, saw a new business pathway emerge. Professor Jayasena was researching lupins for human food and told Mr Cronje the benefits of the legume. "I did a scoping study to learn more about lupins, which I had never heard of and I went overseas to assess machinery I would need," Mr Cronje said. "Some equipment I had to modify to come up with a manufacturing system that worked efficiently. "It took a lot of experiments with lots of trials and errors before I was satisfied not only with the manufacturing but also the product." Mr Cronje has a patent pending on the manufacturing process and ingredient combination. Apart from the mix of flours, he also adds apple juice to produce the Super Lupin cereal. Dietary fibre is naturally occurring in the flours. "The biggest challenge is to raise the awareness of the benefits of lupins," he said. WA research has shown lupins can reduce type two diabetes and obesity, two of the world's major health issues. Globally, scientists say the incidence of diabetes is expected to exceed 250 million people by 2025 - resulting in 35 million heart attacks, 13 million strokes, six million episodes of renal failure, eight million instances of blindness or eye surgery, two million amputations and 62 million deaths. That is a measure of the scale of the problem. In Australia, 60 per cent of the nation's population is classified as overweight or obese and by 2020, medical researchers predict 60pc will have type two diabetes. Centre for Food and Genomic Medicine (CFGM) manager Carolyn Williams said the centre's research had shown a clear and documented benefit to eating lupins. "In clinical trials we have discovered positive health and medical benefits of lupin-enriched foods on weight reduction, blood glucose and insulin control and lowering blood pressure," she said. "Trials have been done involving lupin flour milled by Irwin Valley Lupin Flour, which also is active in developing export markets for valued-added food products containing lupins. "With lupins having such high protein and high fibre qualities it could become a cheap food source for third world countries, with associated health benefits. "Our focus is naturally on the medical side and we are excited at the results we have achieved so far. "But now we need to expand the research and the clinical trials on a national scale." The Cronjes also are hoping for national interest in their Super Lupin products. Our Super Lupin cereal products have been officially launched at the 2012 Gluten Free Food & Healthy Living Expo that took place in Perth on 17 and 18 March. We were assisted by absolute wonderful friends … who worked hard at the Expo to make it possible for thousands of coeliac and non-coeliac visitors to taste the products and to inform them about the nutritional content of it. Thank you for the assistance … we would not have been able to do it without you! The responses of the visitors about the taste and the healthy nutritional content of the Super Lupin cereals were overwhelmingly complimentary with numerous “yummie” remarks. The tasting was followed by immediate purchases of the Super Lupin cereal by the vast majority of visitors as proof of their positive opinion about the products. From our side… thank you to all the visitors for your comment s and support! Owners of a number of IGA Supermarkets, Health Shops and other Independent Retail Shops who perceived the interest of the public in the products and who tasted it themselves, immediately expressed their interest to retail the cereals – as such this will lead to an immediate increase of approximately 15 new retail outlets where the Super Lupin cereals will be available for customers. The names of the shops will be added to the “where to buy..” list as soon as deliveries to these retail outlets have been conducted. Thank you to the retailers for acknowledging Super Lupin as a successful retail product! Curtin University food science and technology researchers have teamed up with a local WA manufacturer to produce the world’s first high lupin content breakfast cereal. Professor Vijay Jayasena of Curtin’s School of Public Health said the breakfast cereal addresses many of the health benefits today’s consumers are looking for. “The Super Lupin breakfast cereal is gluten free, high in dietary fibre, high in protein, low in fat, contains no cholesterol and is low GI, meaning people will feel full for some time and avoid snacking,” said Professor Jayasena. While other breakfast cereals in the market contain lupins, they usually only make up three to five per cent of the product, yet still claim the full range of health benefits. However, it is very unlikely the consumer will benefit from this small amount of lupin. “To really reap the full health benefits a food product should contain at least 20 per cent of lupin,” said Professor Jayasena. Super Lupin is produced by Lupin Nutrition Food and available in five varieties; plain, blueberry, blueberry with fruit and nuts, tropical, and soon, banana. “It has taken two years to develop the product, in collaboration with a local food producer that has the same aspirations for the product as we do,” said Professor Jayasena. The lupins contained in the “Super Lupin Cereal” are sourced locally as Western Australia produces around 70 per cent of the total lupin production in the world. Traditionally lupins have been considered a low value feed grain. However, this opinion is now being challenged as more nutrition experts promote their health benefits. Independent studies by various researchers in Australia and overseas have shown that the consumption of lupin enriched foods reduces obesity, reduces the risk of type II diabetes, lowers blood cholesterol, improves bowel health and lowers hypertension. “Lupins are now being seen as a viable grain to use in many mainstream food products. Within the next few months the interest in lupin-based products will boom as healthier snacks, such as lupin chips and flat breads come onto the market,” said Professor Jayasena. “Soon we will wonder why lupins ever lost popularity. Ancient Egyptians used lupins as a food crop for people and animals and also included it in medicine and cosmetic recipes. Western Australia university researchers have teamed with a local food manufacturer to produce a lupin-based breakfast cereal that is low glycemic index, gluten free, high in dietary fiber and protein, and low in fat. Other breakfast cereals on the market contain small amounts – two to three percent – of lupins, though a minimum of 20 percent is necessary to provide health benefits. The new Super Lupin cereal contains 30 percent lupins. The product, manufactured by Lupin Nutrition Food, comes in five varieties: plain, blueberry, blueberry with fruit and nuts, tropical, and banana. Article - Lupin ‘super’ cereals: A new trend on the horizon? AFTER a two-year project, lupin popularity is set to soar as a lupin breakfast cereal with high health benefits has hit the shelves in Western Australia. Researchers from Curtin University have developed a world-first cereal with 30% lupin content, produced by a local food manufacturer. Curtin school of public health professor Vijay Jayasena said WA growers, who produced 70% of the world’s lupins, would benefit from the Super Lupin breakfast cereal. He said while currently available in Australia, the product also had potential to perform well in Asia, the Middle East and the US. According to Jayasena there are several cereals containing lupins available on the market but many only have 3-5% lupin content. “To really reap the full health benefits, a food product should contain at least 20 per cent of lupin,” he said. “At 30 per cent lupin content, our new breakfast cereal can legitimately claim the full range of lupin’s health benefits. Lupin enriched foods are also said to reduce obesity, reduce the risk of type 2 diabetes, lower blood cholesterol, improve bowel health and lower hypertension. Jayasena said the cereal, which was currently available in four flavours, would help reverse the long-held view that lupins were a low-value feed grain. “Lupins are now being seen as a viable grain to use in many mainstream food products,” he said. “Within the next few months the interest in lupin-based products will boom as healthier snacks, such as lupin chips and flat breads, come onto the market. Super Lupin is produced by Lupin Nutrition Food and is available in plain, blueberry, blueberry with fruit and nuts and tropical varieties, with a banana flavoured cereal soon to be developed. The world's first high lupin content breakfast cereal is being produced in Western Australia. Researchers from Curtin University's food science and technology school and a WA manufacturer developed the cereal. At 30 per cent lupins, the cereal claims a range of health benefits, including being gluten-free and high in fibre and protein. Professor Vijay Jayasena says lupins are now seen as a viable grain in many mainstream food products. "I believe it will take maybe another three to five years to get the full value of lupin, then it will be a very good cash crop rather than a low value feed crop." Lupin, a grain legume that can help to reduce cholesterol, obesity, type-2 diabetes and cancer has been turned into a breakfast cereal. 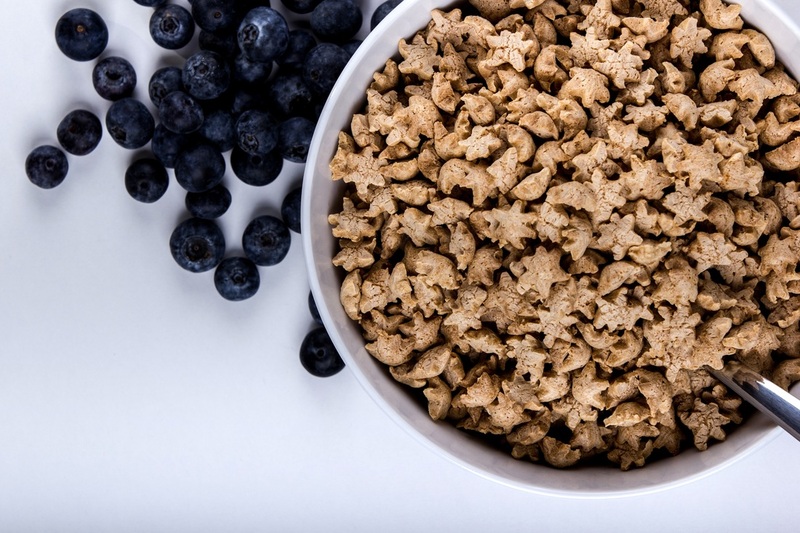 Scientists from Curtin University in Australia and Western Australian (WA) manufacturer Lupin Nutrition Foods has spent four years developing a cereal which is gluten free, low fat and high in nutrition. The cereal, called Super Lupin, has been on the market for the last six months and is available in Australia. Countries like America, New Zealand and Australia produce the legume lupin, but WA produces 70% of the global crop. The cereal has huge potential since obesity, diabetes and cardiovascular diseases are on the rise, with the Middle East having some of the highest rates of diabetes in the world, and the Western diet being low in legumes. Lupin is already present in many food stuffs, but in low percentages. To gain from the nutritional values of lupin, the amounts need to be fairly high: Super Lupin cereals contain 30% lupin, which is rare due to the difficulty in binding the lupin flour without wheat, leading to low dough strength and texture problems. However the cereals are growing in popularity, and lupin snacks are in the pipeline. However, this widespread use of lupin could pose a serious threat to nut allergics as many nut allergics are also allergic to lupin. Article - Lupin: the next big thing? Four years ago, Tom Cronje was introduced to Professor Vijay Jayasena from Curtin University by the WA Department of Agriculture to discuss the use of lupin in breakfast cereals. Cronje’s wife had just been diagnosed as being coeliac, so he had a personal interest in developing the gluten-free legume. In terms of nutrition, lupin certainly has impressive credentials. It is high in dietary fibre and protein, low GI, low fat and contains no cholesterol. Independent studies in Australia and overseas have shown that the consumption of lupin-enriched foods can reduce obesity and the risk of type II diabetes, lower blood cholesterol, improve bowel health and lower hypertension. At the time of Cronje and Jayasena’s meeting, there were already breakfast cereals on the market containing lupin, however, these only included three to five per cent lupin. The challenge for the pair was to create a cereal with a high enough lupin content – a minimum of 20 per cent – to really reap these health benefits. Cronje explains that traditional cereal grains are extruded – think puffed rice in Rice Puffs – in order to give them a light, crunchy texture. However, it is much harder to extrude lupin because of its extremely low starch levels of around two per cent. Additionally, Cronje freely admits that lupin by itself doesn’t taste particularly nice. “It’s bland and it has a rubbery taste because of the low starch levels,” he says. Following two years in development and a large number of taste tests, the pair came up with Super Lupin cereal, which contains 30 per cent lupin and combines it with cornflower, buckwheat and apple juice for sweetness. The cereal, which was launched in March, is manufactured in-house at Lupin Nutrition Foods’ facility in the Margaret River area using special extrusion equipment from Europe. Currently there are four varieties: plain; blueberry; blueberry with fruit and nuts; and tropical. A banana variant will soon be added to the range. Super Lupin is available from IGA, independent retailers and health food stores in Western Australia. A large number of online orders for the cereal come from the east coast. Cronje says that he approached Coles when it was first launched, however, the supermarket said Super Lupin would need a better market share before it would consider stocking the cereal. With negotiations currently underway to distribute the product throughout Australia, Cronje is focusing on the local market before looking to expand overseas. Despite this, he’s already had enquiries about the product from the US and Canada, particularly from the New York area where the market for gluten-free products is strong. Lupin Nutrition Foods sources its lupins from a prominent local supplier in Western Australia, which grows around 70 per cent of the total global production of lupin. Cronje says his supplier would have the capacity to meet demand if the company were to scale up its business for both nationwide and international distribution. While it’s early days for Super Lupin, the cereal fits well with the current trend for superfoods, from which fellow WA company The Chia Co has benefited greatly. Market research specialist Datamonitor recently predicted that cereals and snack bars containing superfoods such as chia, quinoa and spelt would perform well in the global market as consumers shift away from ‘slimming’ products and towards ‘wholesome’ healthy eating. Other food products are also being developed in Australia using lupin. Bodhis Bakery sells lupin bread and biscuits and Jayasena has almost completed commercial trials with another Australian food manufacturer Food IQ for lupin-based chips and flat breads. In Germany, lupin seeds have been used in sausages to create a high protein, reduced fat product, which scientists from the Fraunhofer Institute believe could help deal with obesity. While it might seem like a hard task to elevate something that’s predominantly been used to feed chicken and sheep into the next big superfood, Cronje points to the macadamia nut to prove it’s possible. It seems the humble legume may be going places.